Congratulations to new Champion, Benayr So Adventurous! 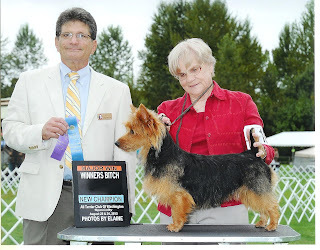 She is shown at the recent Western Washington All Terrier show. This win capped her great career which started in January with a Reserve at the ATCA National, and followed with a 5 point major that same weekend. She finished with a total of four majors. 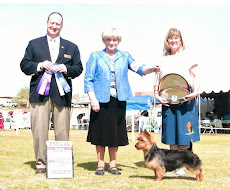 She is the second champion for her sire Ch Millvalley Venturesome and the first for her dam, GCh Benayr Rightly So.